Adam and Eve’s failure to obey God led to a broken relationship with God. Cain’s jealousy of Abel led to murder. Mankind’s evil heart led to God’s judgment by the flood. Ham’s disrespect of Noah led to slavery. Sarah’s impatience with God led to ongoing tribal strife. Jacob’s deception caused Esau to obsess about retaliation. Jacob’s favoritism caused hateful sibling rivalry. Recently I was reminded of King Jehoshaphat’s relationship struggles. In 2 Chronicles we read about the Moabites, Ammonites, and a select group of Meunites who decided to come against Jehoshaphat in battle. With a little study, we learn that this, too, is a relationship struggle. Yes, for the most part, it’s all in the family. The Moabites and the Ammonites are related by way of their grandfather, Lot. The Meunites are a mystery. They may not be related, but they are an army of bullies that enjoy fanning the flame of family strife. Stand firm and see the deliverance of the Lord. You will not have to fight the battle. Go out and face your enemy. The Lord will be with you. The people obeyed God’s instruction. 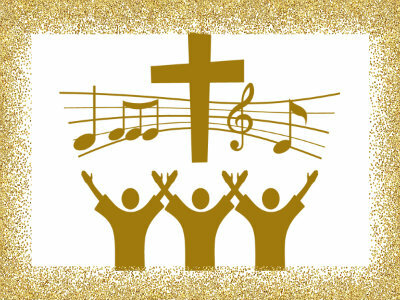 Early the next morning as they departed, Jehoshaphat encouraged the people, “Have faith in the Lord, your god and you will be upheld.” Jehoshaphat appointed men to sing praises to the Lord. They marched out in front of the warriors, singing, “Give thanks to the Lord, for his love endures forever.” As they began to sing praises, the Lord began to defeat their enemy. By the time they arrived at the battlefield, the battle was over. God blessed them with equipment, clothing, and articles of great value. There was so much plunder that it took them three days to carry off what they could collect. And, don’t forget to send in the Choir... Give thanks to the Lord, for his love endures forever! Remember this... you are loved, and you are always in my prayers. Scripture Reading: 2 Chronicles 20; Psalm 107, 118, and 136.